Most TV addicts love crime dramas, but not every crime drama could manage to catch the eye of the audiences. It is the lead actors that really make or break the show. For example, Dr Cal Lightman of Lie to Me captivated viewers with his uncanny ability to catch out liars by studying and interpreting their body language. 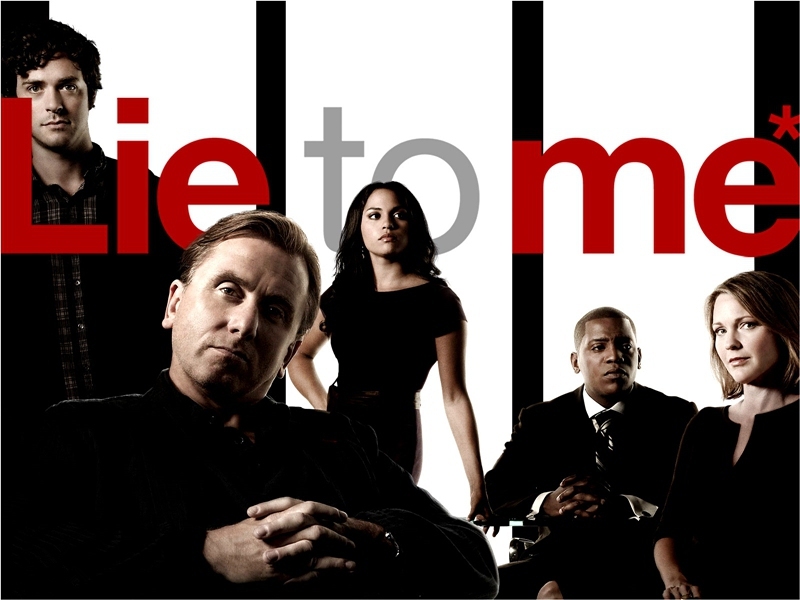 If you love this show, here is a list of series like Lie to Me. It’s a high budget series that is well written and features the main roles with distinctive characteristics. Better yet, it’s based on true life. This captivating crime drama is based on the Behavioral Analysis Unit of FBI where the staffs use psychology and science to unearth serial killers who are so sneaky that they leave no evidence behind. This series brings out human psychology in a way you’ve never seen before. After you begin watching the show, you will start analyzing people unconsciously. There’s nothing more exciting than learning a few things about psychology when you watch an enthralling crime drama. Sit down and watch Patrick Jane do some detective work. Excellent show! If you love series like Lie to Me, you will definitely enjoy this gem. This is not one of the usual crime series. Cold Case brings with it a unique angle to things whereby it digs through cases from the past that have gone cold and tries to bring them to a close. Unlike most TV shows in this niche, Cold Case tries to solve the cases with hunches and clues instead of forensics and psychology. It’s interesting to watch how people who committed crimes many years ago have changed, and how they live with what they’ve done. While this show doesn’t have much in the way of forensics and psychology, it focuses on the basics of law. It’s more of a real world scenario of how the law works, and how it fails sometimes. You’ll get to see how offenders are caught and prosecuted, and how attorneys go about cutting deals that sometimes lead to a miscarriage of justice. The fearsome intelligence and logic depicted by Benedict Cumberbatch is simply captivating. He is an arrogant, manic and borderline crazy crime buster that’s bound to keep you glued to your seat for hours. Many fans of the show attribute his calculating approach to his autism. This is one show that will astonish and entertain you. The story is based on a crime novelist called Richard Castle. His wit and experience in writing crime fiction come in handy in Kate’s detective work as he helps unravel crimes and in the process writes stories about them. Definitely a must watch. Unlike most series like Lie to Me, Third Watch focuses on various emergency responders - cops, firefighters and paramedics during its 6 season run. The show features an excellent and intricate ensemble cast with fascinating relationships. If you like character-driven shows, you will definitely enjoy Third Watch. Starring Idris Elba, this crime show is a dark and twisted crime drama based on the Serious Crimes Unit in Britain. Elba’s London accent perfectly complements the menacing character of John Luther as he goes about solving some of the most gruesome murder cases. While he’s really good at what he does, his obsession with work is also his Achilles heel since he becomes a danger to others in the process. The show is set in a gritty atmosphere that’s both scary and entertaining. This show centers on Clair Danes, a CIA agent who believes Damian Lewis, a prisoner of war, could be a terrorist. Just like Lie to Me, Homeland is a tense and psychological drama starring Mandy Patinkin. Dexter is a mind bender. If you think you’ve seen it all in crime drama, then this is a must watch. Dexter is a violent serial killer who doubles up as a forensic technician. This makes him almost impossible to catch as he commits the perfect murders. The show depicts brutality you won’t see in Lie to Me, but is a refreshing take on crime series. This is a British series that aired in the US on BBC America. The show tells the story of a group of investigators who solve present day crimes that have a connection to the past. In the first season, they solve crimes similar to those of the infamous Jack the Ripper. It features intense investigations that are bound to keep you on the edge of your seat. This NBC drama is centered on the story of Dr. Samantha Waters who works as a profiler with the FBI. In her mission to capture the murderer, Jack of all Trades, Samantha becomes both the hunter and the hunted. This is one of the few series like Lie to Me with a female lead. Starring Rachel Nichols, this FOX series is a darker version of Lie to Me. It tells the story of a team of profilers and the cases they tackle. The series features graphic violence and questionable morals. If you do not mind any of this, get your hands on The Inside. It is, however, hard to come by as it isn’t released on DVD.